Before we visited Everglades National Park, we had a perception of what it would be – a huge swamp. 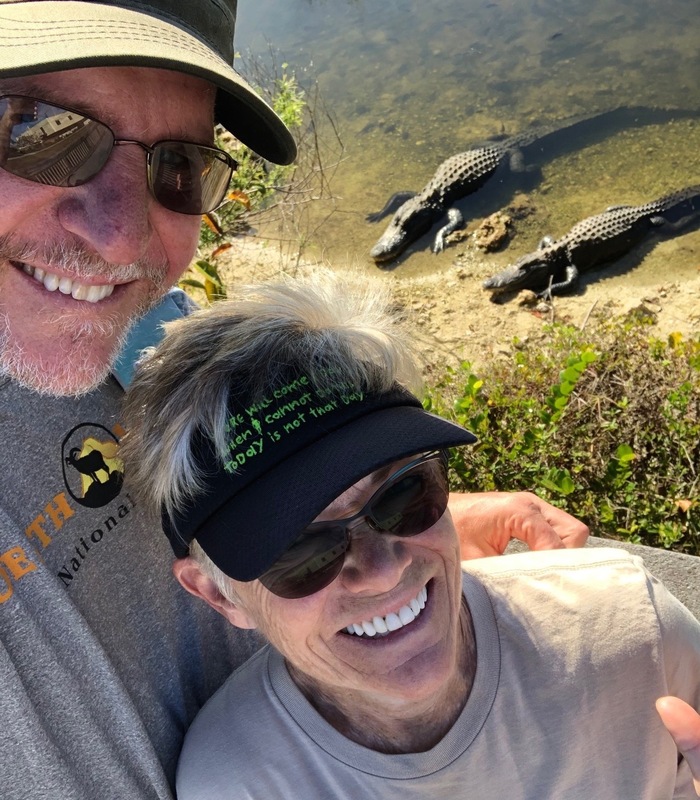 When we did finally get there, we were totally surprised to find that Everglades National Park is much, much, more. In fact, it was not at all like our narrow one-dimensional view; in contrast the Everglades is multi-dimensional. Its 1.5 million acres includes mangrove swamps; freshwater sloughs; and forests of slash pine and mahogany. In fact, the National Park Service recognizes nine distinct interdependent ecosystems all part of this amazing park. 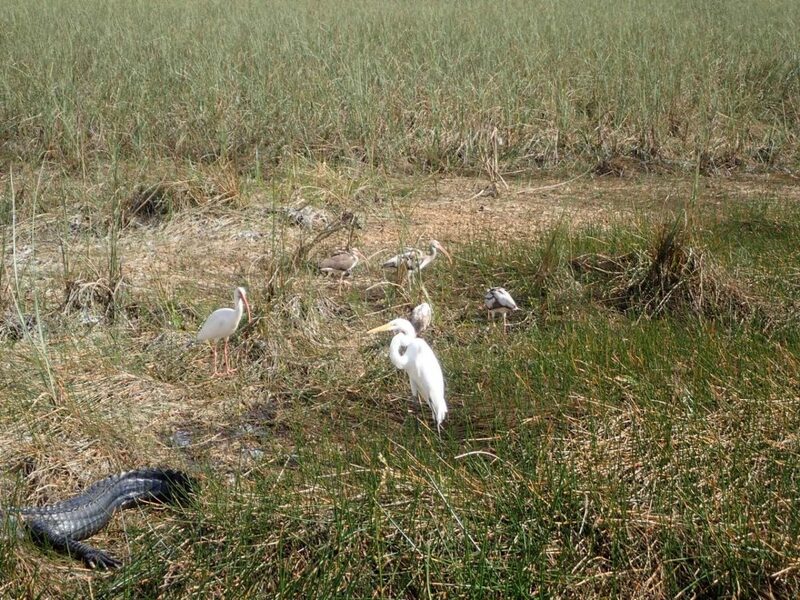 Everglades National Park is the 3rd largest National Park in the lower 48 and the largest east of the Mississippi. 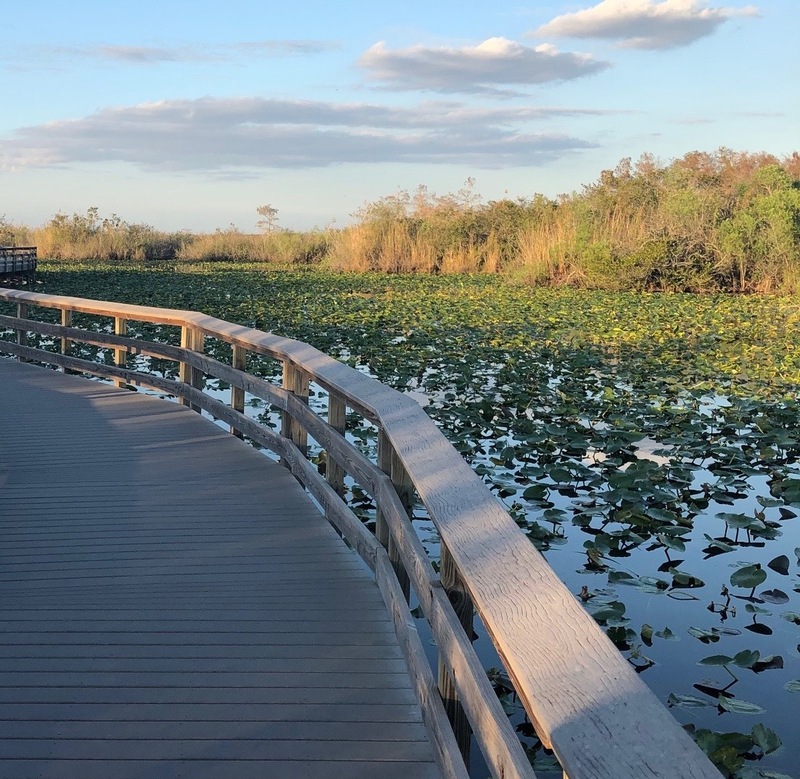 Declared a National Park in 1947, it preserves and protects a fragile ecosystem that not only protects Florida’s water resources; it is also the habitat for many rare species – Manatee, American Crocodile and the Florida panther. The park is also home to hundreds of species of birds, fresh and saltwater fish, mammals and reptiles. 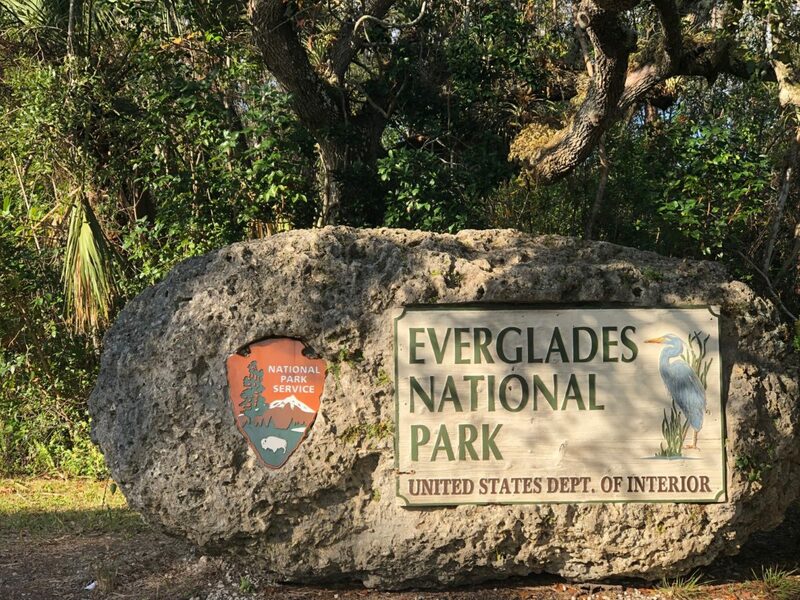 Along with being a U.S. National Park, Everglades is also a World Heritage Site, International Biosphere Reserve and a Wetland of International Importance. We visited three distinct areas of the park and would highly recommend that you include all three in your itinerary. They all give you a different view into this diverse park. We began our visit at the west end of the park, at Everglades City. Not really a city, this town of just a few hundred is a paradise for boaters and fishermen. Considered the gateway to the 10,000 Islands, this is where you really need to get out on to the water to experience the park. We took a sunset boat cruise. There are red, black and white mangroves, and we saw a ton of dolphins frolicking in the bay. There are also jet boats that will take you into the mangroves, or if you are more adventurous you can rent a kayak or canoe. 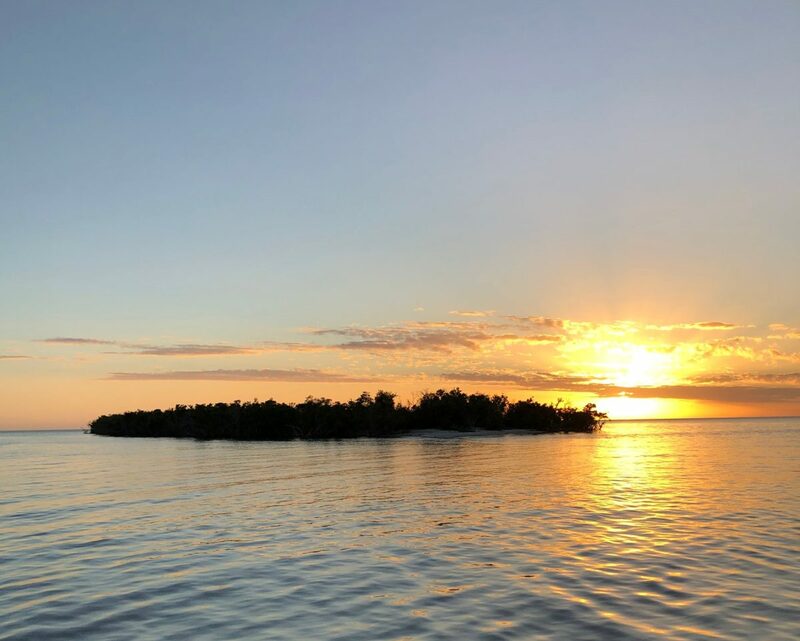 In fact, Everglades City is the jumping off point for many who want to paddle the 99 mile Wilderness Waterway which winds through the mangroves and ends at Flamingo, on the east side of the park. There are established campsites, many of them raised platforms on the shore or even on the water. You do need a permit, and beware, you will need some really good bug repellent! From Everglades City, we turned back north and took highway 41 east. This 80 mile road (named the Tamiami Trail because the 41 goes from Tampa to Miami) cuts through Big Cyprus National Preserve. If you have the time, take the short loop road that starts at Monroe Station and returns back to the 41 on the east of the park, returning you to the Everglades. It is a lovely drive and there are a few raised walking paths that take you back into the mangroves. Whatever way you go, plan to stop at Shark Valley. It is amazing!!! There is a 7.5 mile walk/bike path that ends at an observation tower from which you can see out over the Everglades. You can walk, rent a bike or take a tram; but be aware that it is a busy place so be prepared to wait a bit. Even if you don’t have time to do any of the path, stop there and take a short walk. Depending on the water levels, you will see a ton of alligators. 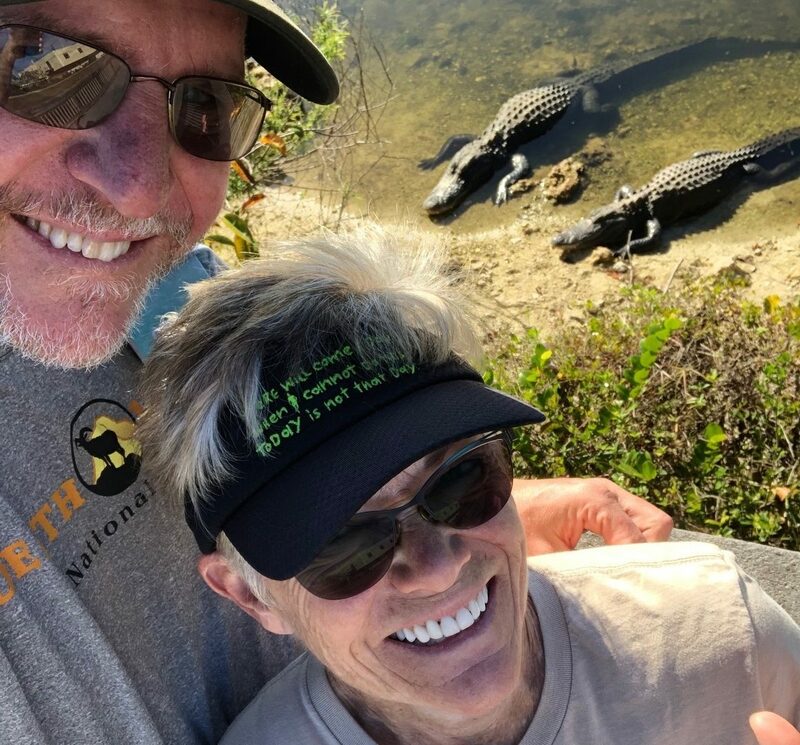 As we biked past, the alligators were just laying out sunning themselves along the sides of the path – in some places, not even two feet away! There were tons of birds – herons, egrets, ibises and we even saw a few roseate spoonbills with their pretty pink feathers and a few wood storks. The water was so clear you could see the fish and turtles swimming. We didn’t see any snakes, but they are probably there as well! We did see a heron catch a fish, then beat it to death on a branch before tossing it up into the air and swallowing it. You don’t even need binoculars, but if you have them, take them! On the east side of the park, the only road through the Everglades ends at Flamingo. Unfortunately, there are no flamingos there but we did see manatee and crocodiles. 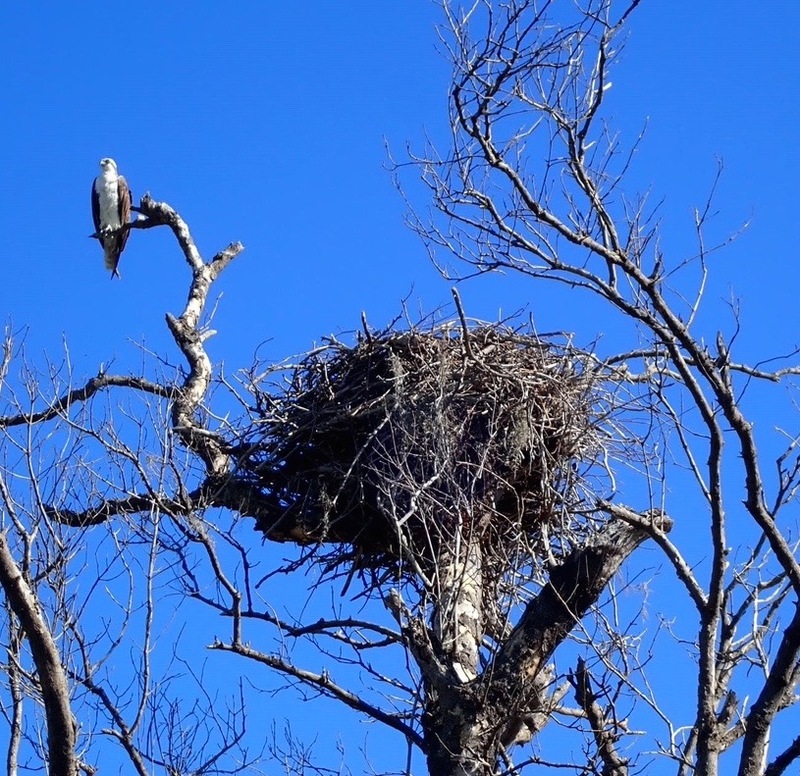 There were also a bunch of ospreys, up high in their nests. The concessionaire there offers you many options – you can rent kayaks, houseboats or take a narrated cruise out through the mangroves to what is the 2nd largest lake in Florida. We didn’t expect that! If you are a bird lover, you will be amazed at the diversity and quantity of birds; here including sea birds like cormorants and pelicans, both white and brown. As you drive down to Flamingo, there are several places that you can stop and experience the different types of ecosystems. The first stop is the world famous Anhinga Trail. This short mile walk, mainly on raised boardwalk takes you into the slough and over a pond covered in “spatterdock” (a form of water lily). Of course there are alligators and herons and ibises, and tons of fish and turtles that you can clearly see through the clear water. 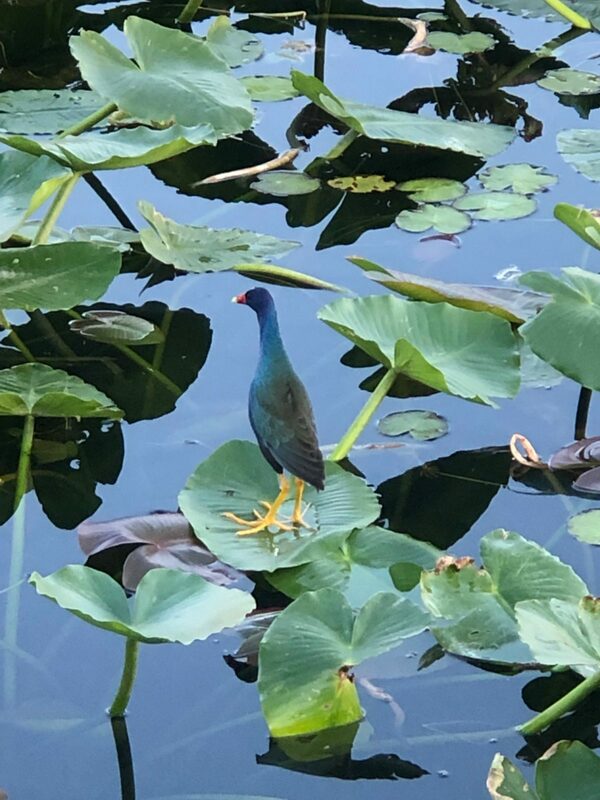 The most amazing of all was the “purple gallinule” – a bird that hopped from lily pad to lily pad, walking across the top of the water to find its dinner. Here you will also meet the anhinga. It looks much like a cormorant, with a long snakelike neck. You will see them perched on trees with their wings spread out wide, sunning themselves to dry their feathers. You may also see them fishing … when they come out of the water and look around, they look just like a snake! In fact, they are often called snake birds. From the same parking lot, you can walk out on the Gumbo Limbo trail. This short walk takes you away from the marsh grasses and through a sub-tropical forest – a totally different ecosystem! The Gumbo Limbo tree is also called a “tourist tree” – it stands in the sun, turns red and peels. From this same turnoff, you can drive into the Nike-Hercules Missile Base, opened in 1962 in response to the Cuban Missile Crisis. We did not stop here, but there are ranger-led tours available. The site is on the National Register of Historic Places. From the next turnoff, we walked along the Long Pine Key Nature Trail – one of the only long walking trails in the park. It is an old road, so easy to walk or bicycle along. We did the entire distance and climbed only 67 feet! Very flat! We didn’t expect to walk through pine trees in the Everglades. This area has a number of trails, many starting at the Long Pine Key Campground and Picnic Area. This entire area is flat, just choose your distance and go for a walk! We did walk from Flamingo through the campground to the Coastal Prairie Trail. This one gives you a perspective on how far the river of grass extends, all the way to the estuary of Florida bay. Take mosquito repellent – even in the dry season there were tons of skeeters! If you go to the Everglades National Park, be sure to plan a few days and several stops. It is not enough to simply stop at a visitor center or drive across Alligator Alley (that’s not even in the park). It is such a diverse park, you will really want to experience it all. One note... we visited the Everglades National Park during the government shutdown. Happily, it was open with the exception of the Visitor Centers and many of the restroom facilities. Most of the excursions are offered through National Park Concessionaires so they continued to provide boat trips, bike and kayak rentals, and more. Plus their staff were pitching in along with volunteers and Florida Parks to keep the park clean, offer restroom facilities where possible, provide information, keep people safe and help ensure that their visit was enjoyable. We thank them!